During my pregnancy I experienced something I had never heard of before. Almost all of my eyelashes fell out. I didn't pull on them, they simply would just fall onto my cheekbone throughout the day. Weird right? I had heard of women loosing hair or their skin changing. Never did I expect to loose my lashes! By the 9th month they were only a few centimeters long leaving me feeling bare and quite honestly, embarrassed. Every girl desires thick, long lashes - at least I do! I don't leave the house without lipstick and mascara so not having eyelashes to put mascara on was pretty upsetting. 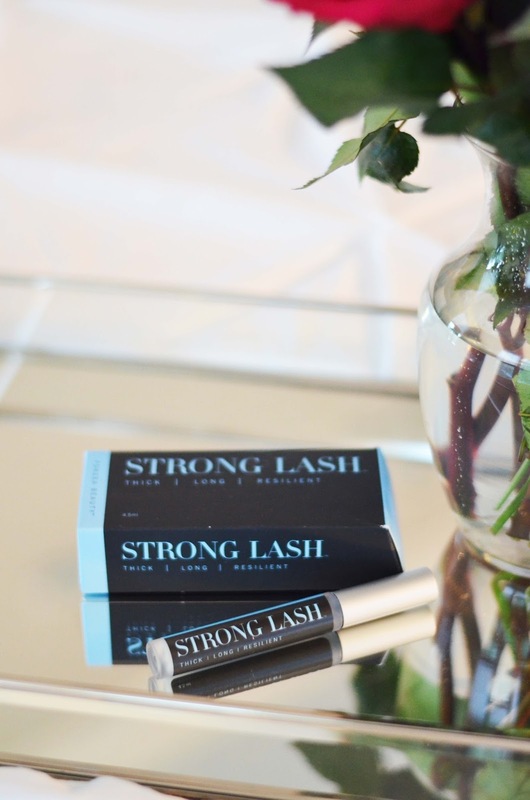 When Strong Lash reached out to me about promoting their Strong Lash serum I was skeptical, but desperate. There are so many products on the market it's hard to know what is legit. But I would have tried anything except for surgery at that point! I used my serum with major dedication for 30 days straight. I applied it to both my upper and lower lash line before my makeup in the morning and then again after I washed my face at night. Y'all, I don't even know how to tell you how great the results I saw were. I'm seriously blown away. So why don't I show you? I'm sorry I don't have a before picture to share, but just imagine thin and short eyelashes. Basically barren. Now look! I have one light coat of mascara on, but my lashes are MUCH longer and fuller. It's amazing, y'all! I know there are a lot of phoney products on the market so it's hard to know what to invest your money into. 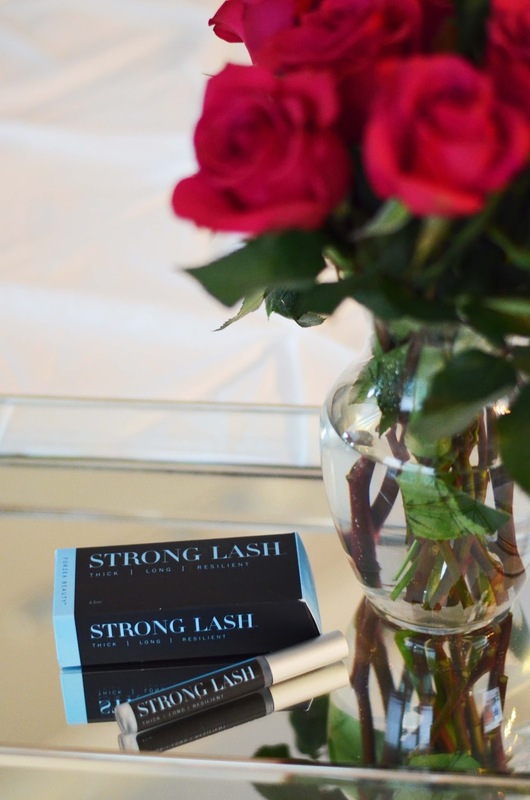 But I am telling you with complete honesty that I believe Strong Lash serum works for the growth and strengthening of your lashes. I wouldn't say it if I didn't believe it. If you'd like to order some to try, use this coupon code tulip30 because saving some mula never hurt anybody! 11 comments on "Thick, Long Lashes with Strong Lash"
Oh my goodness! Now I'm terrified if I ever get pregnant! I totally agree, mascara is a staple. Good thing to know there are products like this out there! Your lashes are beautiful! Ahhh, so scary to lose your lashes. All these wonderful side effects of pregnancy but this is the first time I've heard of that. The good news is yours look great now and I never even noticed it when you were preggers. Hooray! I'm so glad that this worked well for you - I have a tube of this to test, too, but I haven't started my trial yet. Now I can't wait to see the results! 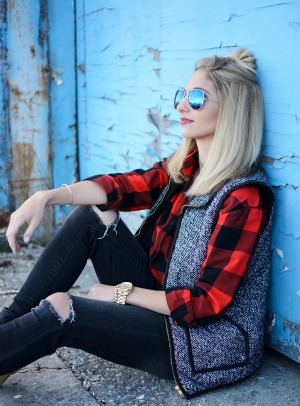 Your lashes look great!! That is not something I'm looking forward to when pregnant! woah girl now i'm gonna be watching my eyelashes like crazy! I had no idea this happens! 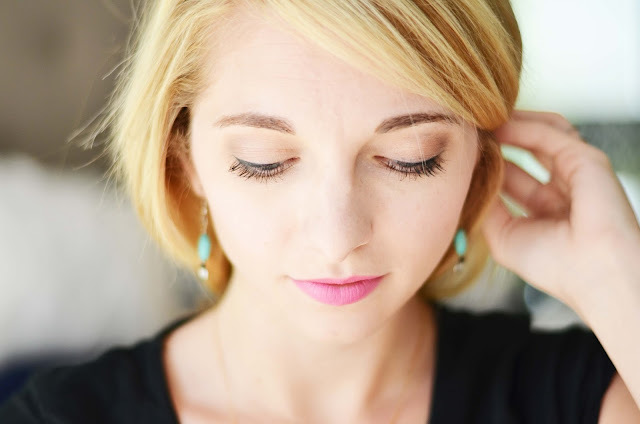 Your lashes look great and I'm sure you're happy to have them back! Your lashes look amazing! I've been using RapidLash for a while now and I love it! If it ever stops working on my lashes I know which kind I'll try out next!